Putting together a Christmas Eve box is an easy way to add a touch more magic to the holiday season. We started this fun tradition with Rosie and Jewel last Christmas, and I am so excited to do it again this year. 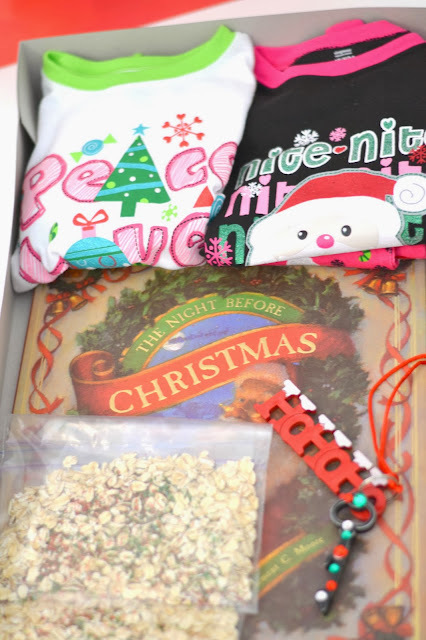 The idea is to put together a gift box of sorts for kids to open on Christmas Eve. Here is what we put in ours this year. 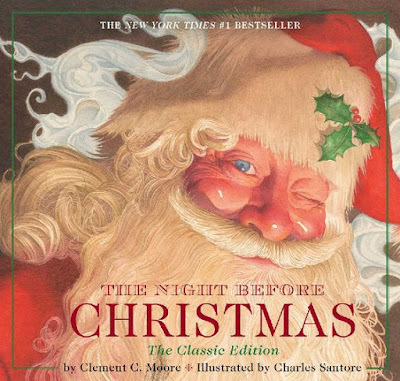 A Book to Read Before Bed- We were in need of a new copy of The Night Before Christmas. Perfect! If you already have this book any holiday book would be a fun addition to your Christmas Eve box. Read it together just before bed. You can find a great collection of holiday books to choose from on Amazon here. 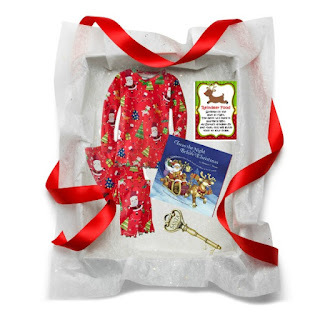 New Pajamas- Each year we put new holiday pajamas in our Christmas Eve Box. 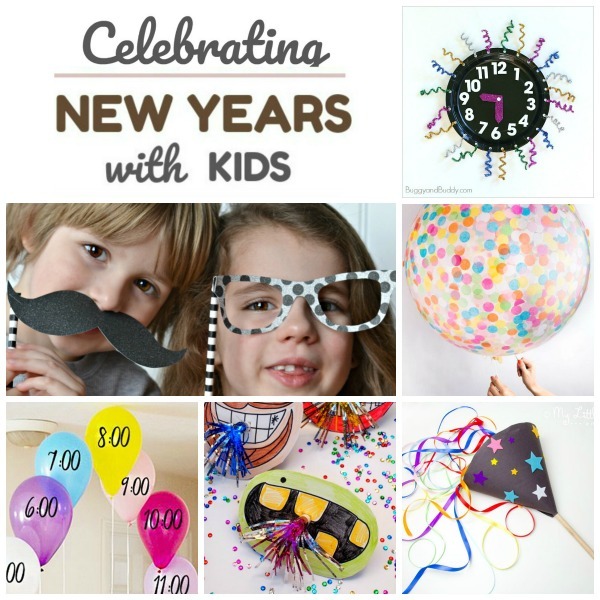 This is so fun for the kids, and in turn they have fresh clean pj's on when we are taking our photos the next morning. Santa's Magic Key- This is a fun thing to include in your Christmas box while the kids are little. 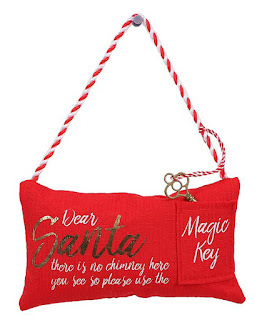 What is Santa's magic key? 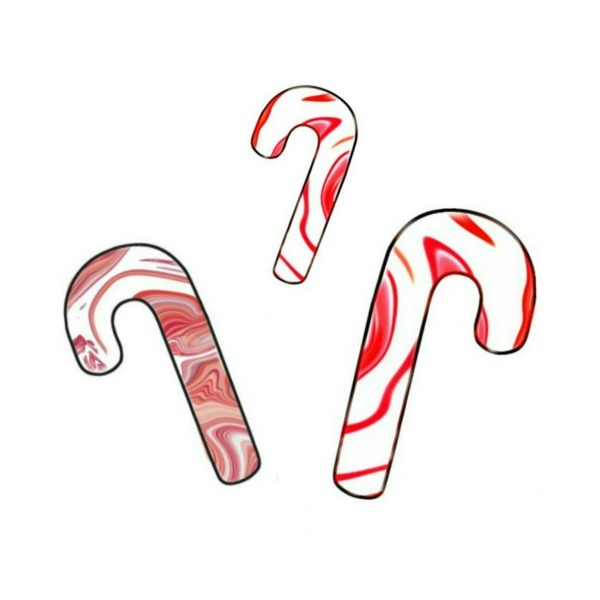 It is how Santa gets into the houses without chimneys. We don't have a chimney, so this idea is perfect for us! 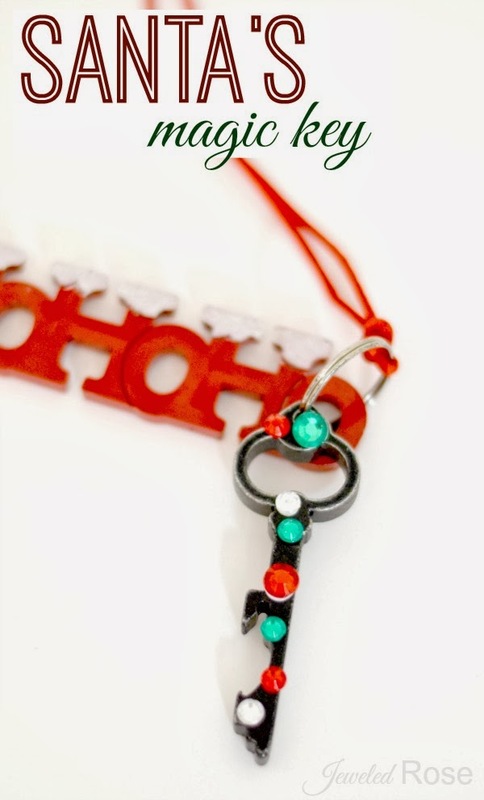 You can buy a Santa key, or you can make your own. To make ours I covered a fancy, old key in sequins. You can also print out a free label and poem for your key here. Have your little ones hang the key outside the front door just before bed. Reindeer Food- Making reindeer food with the kids is magical and fun! We made ours a few weeks ago, and then I stashed it away for our Christmas Eve box. Just before bed on Christmas Eve have your kids sprinkle the reindeer food in the yard. While Santa is inside the reindeer will eat the food which helps them stay strong and have the energy to fly the entire world. 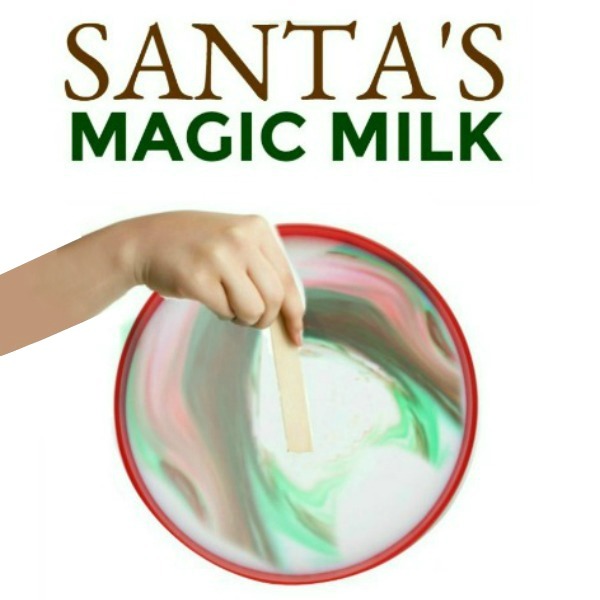 Simple magic fun for kids! 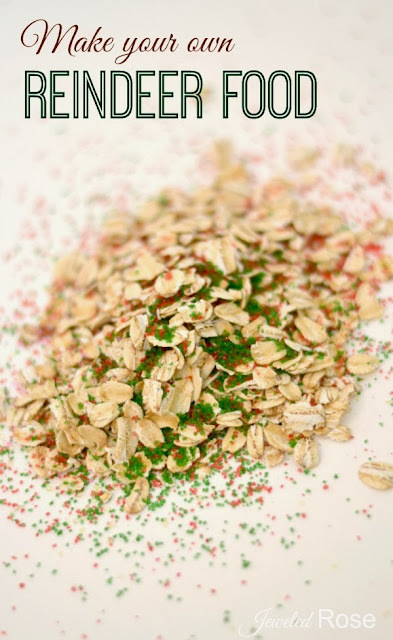 To make your own reindeer food just mix oatmeal and red and green colored sugar together. You can also buy reindeer food online here. Do you have other ideas for things to include? I would love for you to share them with us on the Growing a Jeweled Rose Facebook page! 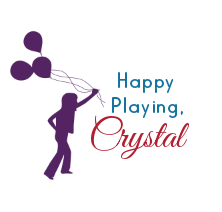 Connect with us there so you don't miss any of the great kids activities we share!